The name of the Visual Studio solution file that you want Bamboo to execute. For example: RegexDemo/RegexDemo.sln. You can also include variables (see Bamboo variables). Specify any Visual Studio command-line options that you want to include (e.g. /build Debug). You can also include variables (see Bamboo variables). 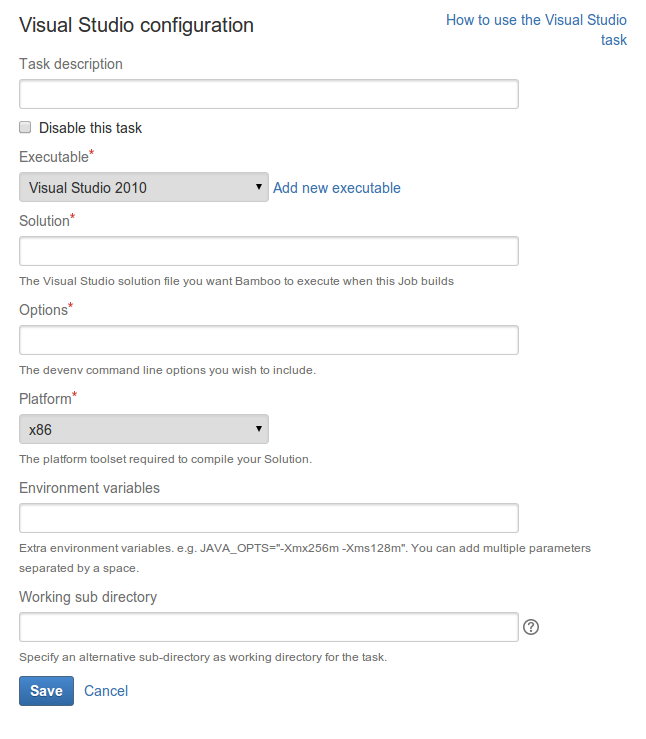 Select the platform toolset required to compile your solution. This is provided as an argument to Vcvarsall.bat (see this MSDN article for more details).